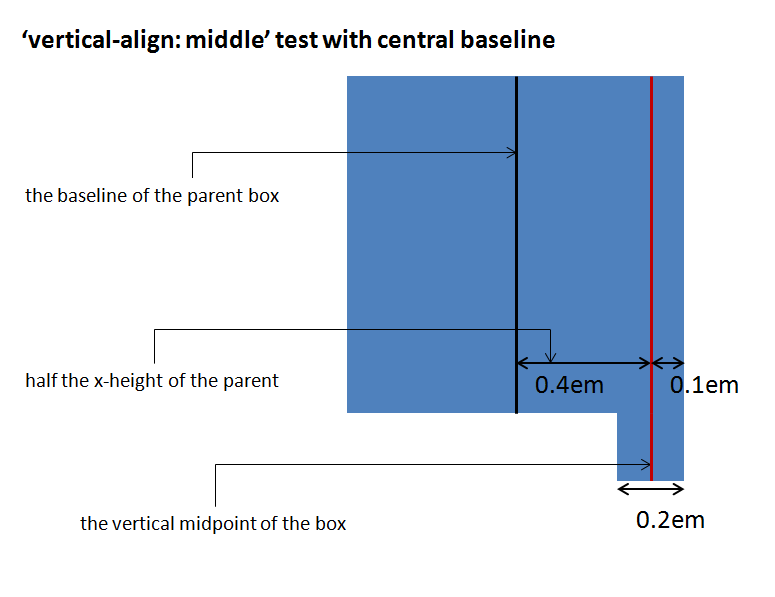 I added new tests for 'super', 'sub' and 'middle' only with vertical-rl. I created a explanation images. that a x-height of Ahem font is 0.8em. I examined Ahem's 'OS/2 Table' using ttfdump^ and I saw a following data. So I assumed that the x-height of Ahem font is 0.8em. Is it correct? 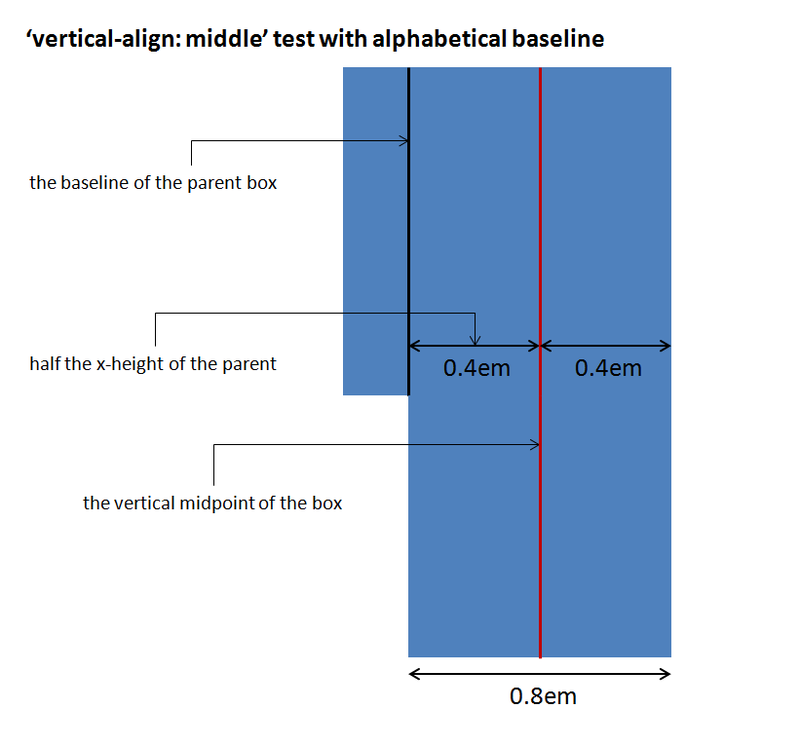 Next message: Gérard Talbot: "Re: vertical-alignment test for 'super', 'sub' and 'middle'"
Previous message: Gérard Talbot: "Re: Latest (most recent) version of CSSHWOrientationTest.otf and text-orientation-script-001* tests"
Next in thread: Gérard Talbot: "Re: vertical-alignment test for 'super', 'sub' and 'middle'"
Reply: Gérard Talbot: "Re: vertical-alignment test for 'super', 'sub' and 'middle'"